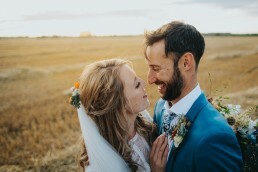 A day packed with love and happiness at this Norfolk Mead wedding. The sun shone and the love flowed in the heart of Norfolk. What a gorgeous day in Coltishall. I love it here as it’s where I spent a lot of my childhood. Rowing up and down the river, swimming and fishing and sometimes causing mischief. I had one of my first jobs here too! Anyway, first things first, a little bit of backstory. It starts with two ginger kids trying to get kicked out of French class and it ends with an amazing wedding. Now, the wedding was not that of the ginger kids although they were both present. Me and my pal Richard spent a lot of time at school creating mischief (his influence) and god only knows how we both ended up in decent jobs but we did. He creates amazing bathrooms and kitchens and I create awesome photos. He often recommends me and vice versa. Anyway, he recommended me to this amazing pair of humans called Jane and Adrian. They got in touch, we got on and the wedding was a stunner. 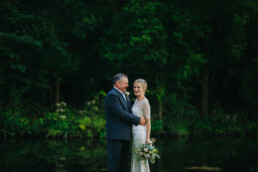 A day packed with love and happiness at the Norfolk Mead. These two and their families are just the best kinds of folk! Jane looked incredible in her handmade dress, props to Georgie for the Dressmaking! Oh, and Ade has some of the sickest moves I’ve ever seen! This was a beautiful day for beautiful people! Great job josh the photos are amazing! Maybe too many of the ginger one! Lol 🙂 I can’t recommend you enough! Absolutely beautiful! you mixed them well.